Designed for automatic vehicles, mechanical hand controls work as the name suggests – pulled back to accelerate and pushed down to brake. Working seamlessly with the vehicles foot pedals. The controls are fitted with a Leg Impact Protection System, where the brake rod is fitted with a rubber guard to prevent contact with the metal moving parts. The controls can also be fitted behind the vehicles cowling to conceal the rods in some cases. An Indicator switch can be added to the handle of the controls to make things easier if required. The vehicle can still be driven using the foot pedals. Also available as a Radial Accelerator and Brake. 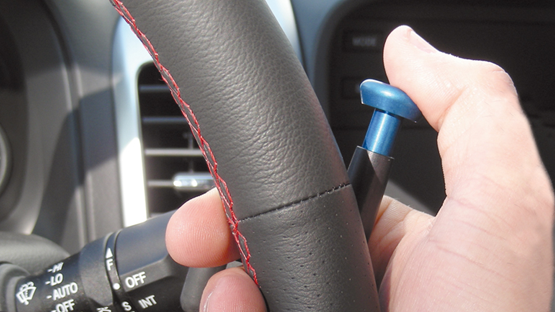 Meaning instead of pulling towards the steering wheel to accelerate, the handle pivots down towards your leg. Also available as a light touch electric version and with functions on the handle such as indicators and horn. 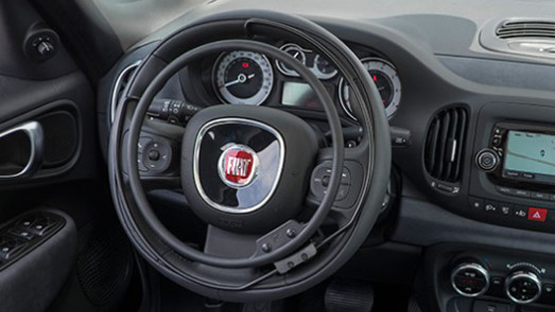 The electronic over and under ring accelerators are one of the most advanced driving adaptations available. It provides a light and non-tiring acceleration control with a positive and comfortable response. The system is designed not only to operate effortlessly but also to blend in with the vehicles interior, producing that original equipment feel. The over ring also comes in a removable option. Both the over and the under ring can be supplied with a mechanical push brake. 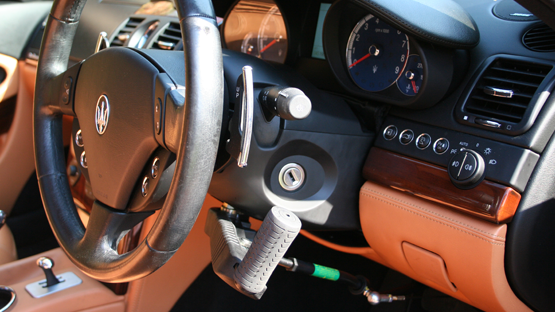 The electronic trigger throttle control is based around the already successful single lever push pull hand control system and gives an excellent degree of vehicle control with virtually no fatigue to the driver making it ideally suited to those wishing to drive long distances or indeed those required to drive for a living. The throttle of the vehicle is controlled by the trigger portion of the controls handle which can be operated with just a few grams force giving a light and responsive feel when driving the vehicle. The brake is operated in the same manner as conventional push pull hand controls, by pushing the handle forward this gives light and responsive control of the vehicles brakes. The Satellite accelerator has many unique features which make it a pleasure to use. 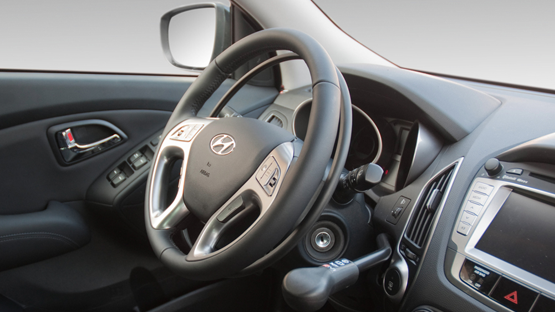 It is suitable to be fitted to most vehicles and since the unit is hand-held, all functions, such as air bag and secondary controls mounted on the steering wheel, are retained for use. The power to the Satellite accelerator is also cut when the brake is applied. The vehicle can be also be driven conventionally if required. 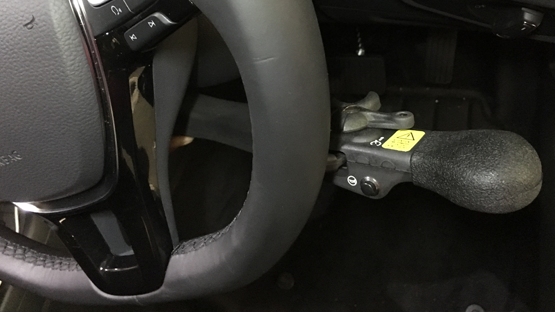 When driving with hand controls it maybe necessary to stop the accidental operation of the pedals or the trapping of feet or prosthetic limbs under them. In this instance, pedal guards or hinged pedals may be of use. 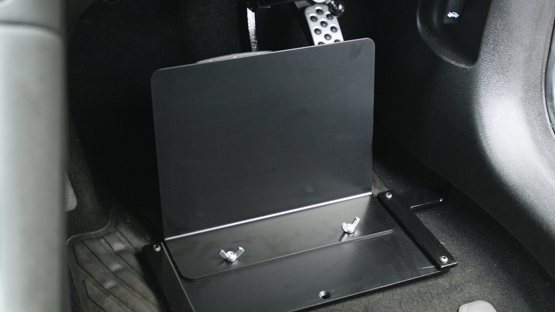 Pedal guards can cover one or all of the pedals and are easily removed to allow operation of the pedals to drive with. Hinged pedals can be flipped up out of the way when the hand controls are in use and then back down, to allow use of the foot pedals. 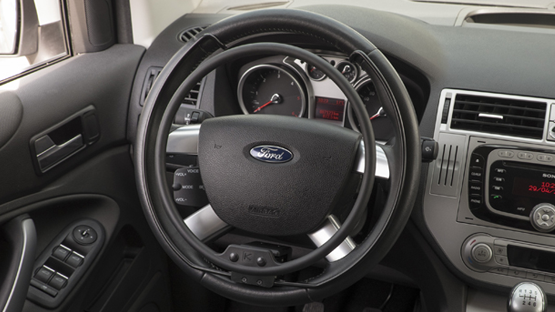 See our steering wheel aid and wireless control sections for further options to compliment your hand controls. It might also be advisable to have a driving assessment or familiarisation lessons with hand controls before purchasing, to ensure safety and comfort of use. Please click here for our Adaptations Enquiry Form. Customer satisfaction remains our focus and the centre of our continued growth. Expert fitters and staff remain to ensure Customer and Dealership needs are fulfilled. If you need more information you can either visit our showroom in Letchworth or give us a call to discuss your requirements. © 2018 ACS Mobility Ltd. All rights reserved.